TEXAS BASEBALL HAS REVEALED THEIR NEW pinstripe UNIFORMS FOR THE UPCOMING SEASON. 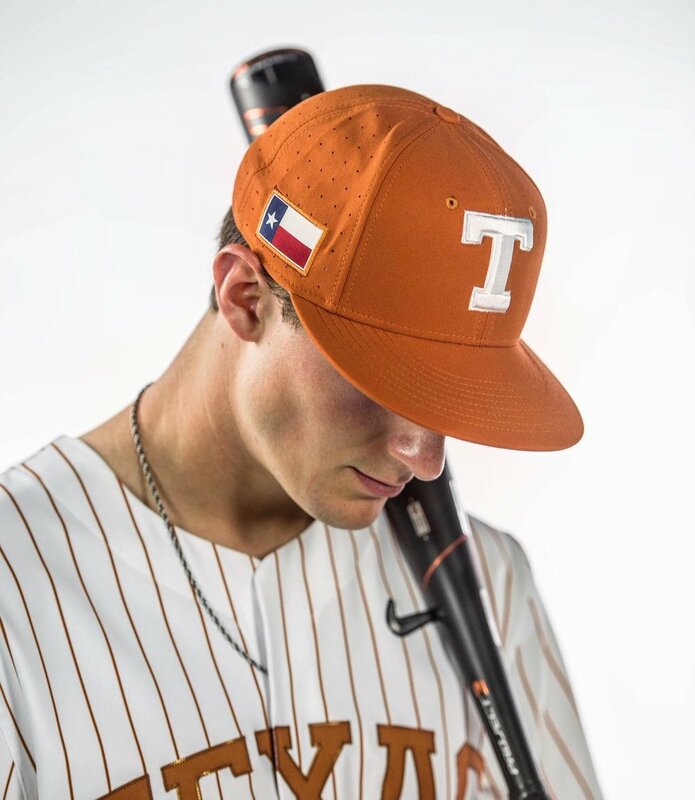 THE LOOK WILL FEATURE TEXAS in block letters ACROSS THE CHEST OF THE white pinstripe JERSEYS WITH WHITE pinstripe PANTS AND PAIRED WITH THE burnt orange T HAT. THE LOOK WILL BE ON NIKE’S NEWEST UNIFORM TEMPLATE TO MATCH THEIR NEW WHITE UNIFORMS THEY RELEASED EARLIER.